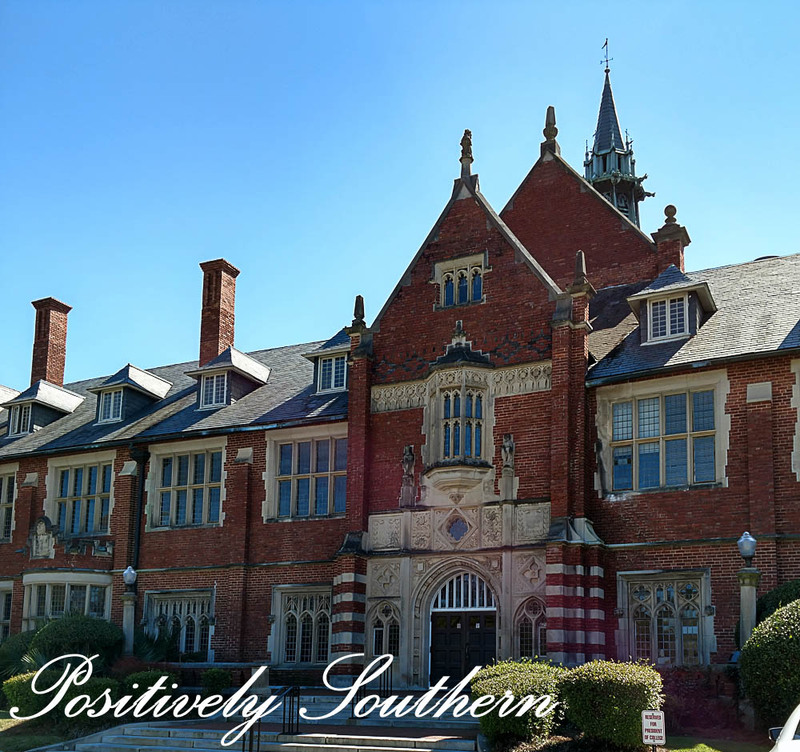 If you've followed along on Positively Southern's Instagram you know I've posted numerous photos of college visits over the past year. 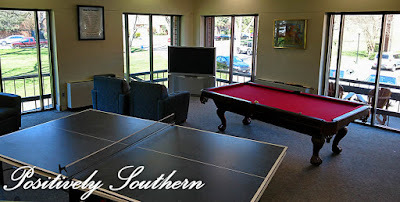 I surely feel like I've seen what the south east has to offer in regards to colleges. 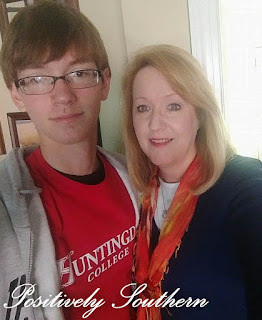 Last year on spring break we took our very first college tour at Huntingdon College. As we toured we saw the historic and majestic buildings and talked to the various professors(shout out to the Chemistry & band folks) I was impressed. What I didn't realize John was falling in love with the school. As we walked down the steps of Flowers Hall I will never forget the moment he grabbed my elbow and said "this is where I wanna go to school." As I said before, we continued to tour other schools and liked many aspects of all of those. John has always had a mind of his own, like when I wanted him to do percussion in band. John came home and announced he'd selected the bassoon. 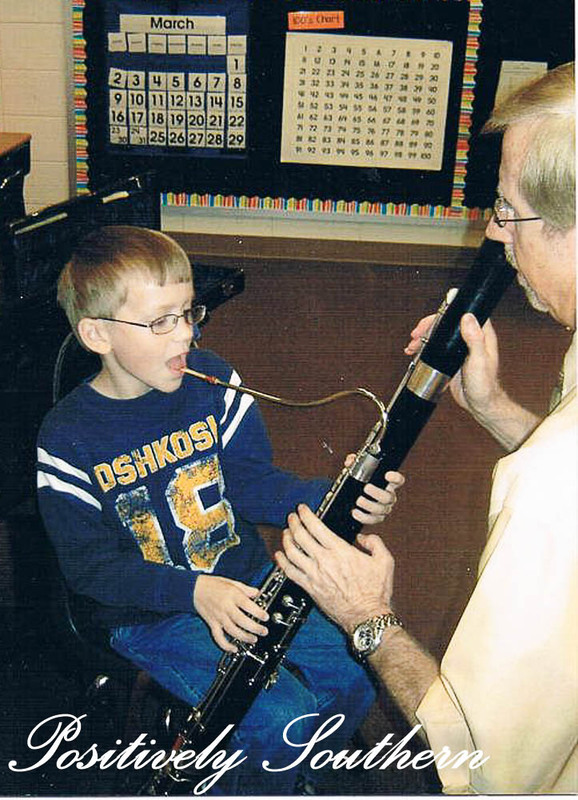 I'm not ashamed to admit that I'd never seen or heard a bassoon until he discovered it in 2nd grade. For some 17 years this child of mine has donned our(mine & Honey's) college colors in all the navy and orange goodness there is. This fall he will be all decked out in Scarlet & Grey!!! I don't mind to admit this Auburn alum is finding it hard to embrace anything red. 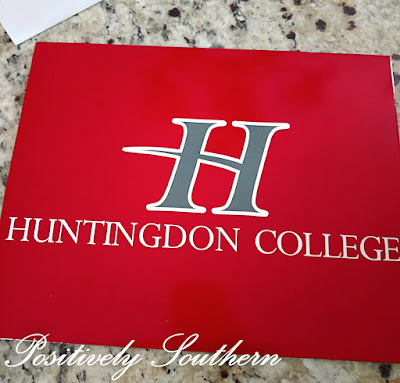 I'm working on it...as long as it has the Huntingdon College logo on it cause, God forbid someone would think something else! HA! As the proud Mother, I'd be remiss if I didn't say that he was awarded many scholarships from many colleges. 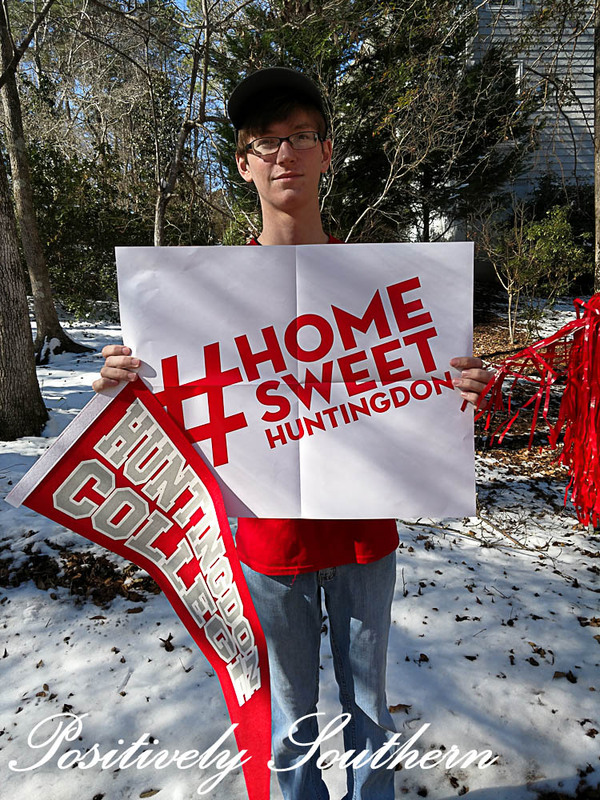 The one he landed at Huntingdon College was icing on the cake! John was awarded the Edwin H. and Mae Rousseau Teague Scholarship (for students majoring in Biology, Chemistry and Mathematics). My kid is majoring in Chemistry on a premed track. 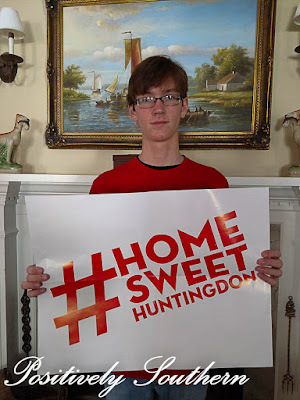 John will be a member of the Marching Scarlet & Grey playing alto sax and in the concert band he will play that bassoon he has loved since the 2nd grade. It is hard to believe that John will be graduating from high school in less than 2 months. He has made his college choice, what a great feeling to have that behind us! 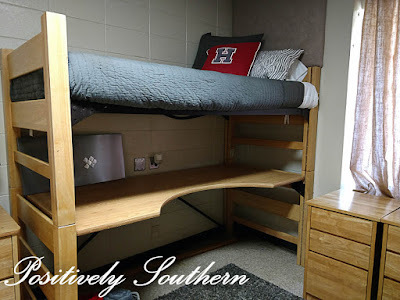 With dorm life looming we've already started making lists and thinking about what the dorm room decor might look like. 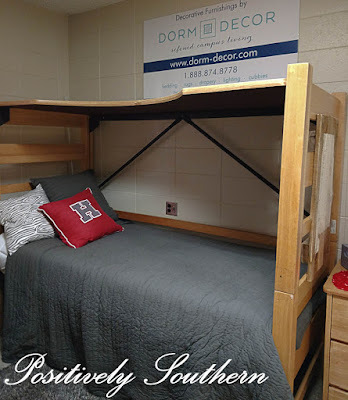 We've made a couple trips to his college of choice and I've been in the model dorm room twice. 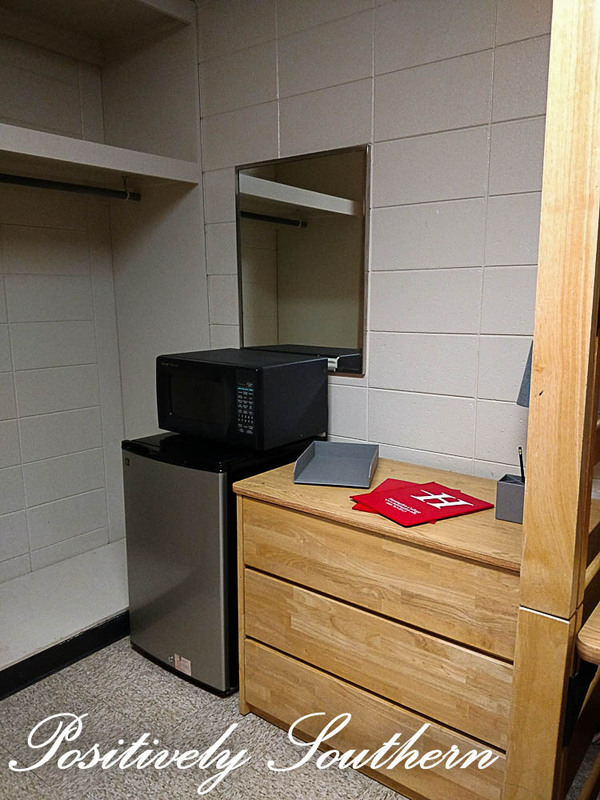 Y'all let's talk about how small these rooms are, I do understand this is typical though. John's room is 14X11. 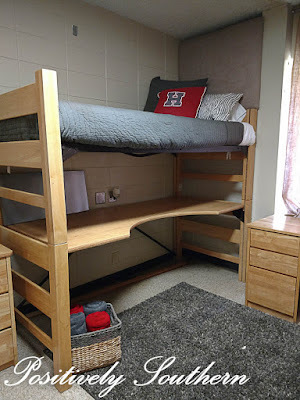 The rooms come with 2 bunk beds with the bed on top and a desk top fitted on the bottom. Community bathrooms are down the hall. Some students move the desk top to the upper and use for storage putting the actual bed on the bottom. I believe they can take the desk top out altogether and just have room below. 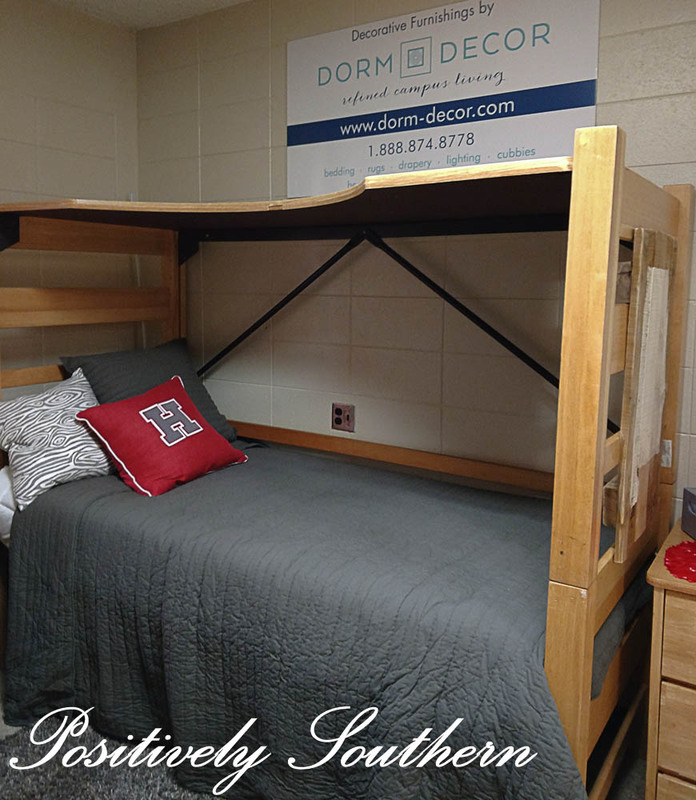 The model dorm room is decorated by Dorm Decor, probably the best guy dorm decor I've seen so far! There are a pair of night stands with 3 drawers, a dresser(I'd call a chest) also with 3 drawers. Each room comes equipped with a small fridge and microwave. The closets are about 4 feet wide with space above for storage and this space is open. 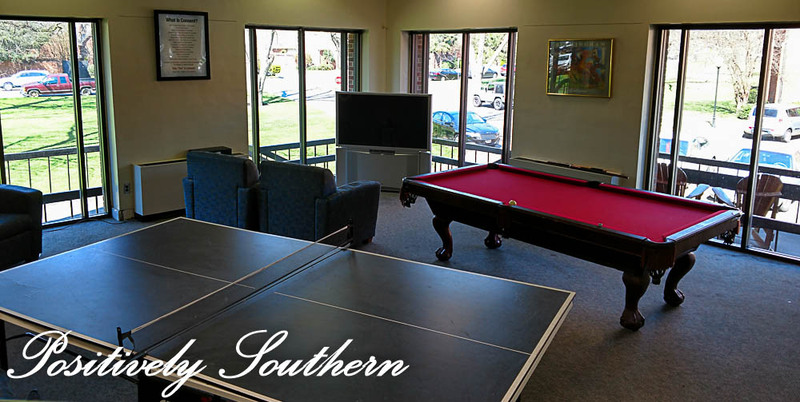 What college dorm would be complete without a pool table or ping pong table? 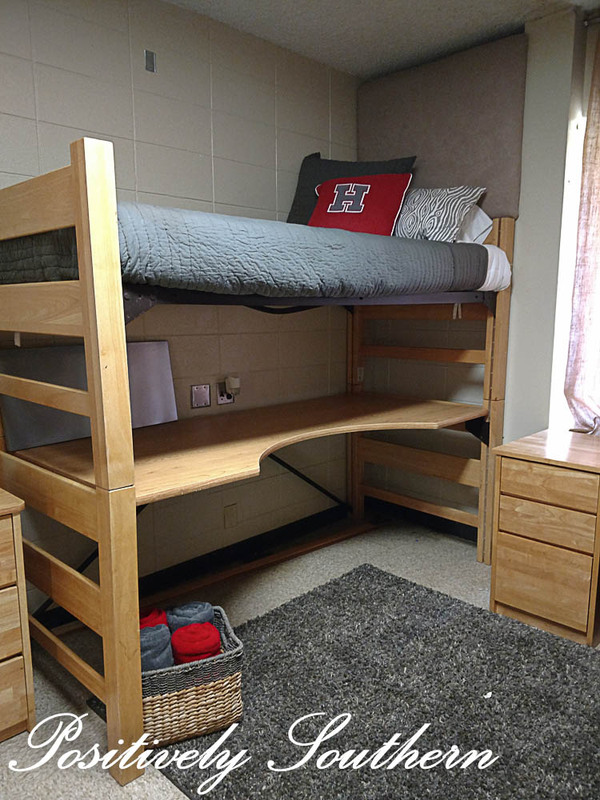 On Pinterest there are loads of inspiration for girl dorm room, guys not so much! As I look at all these rooms that are perfectly decorated I wonder how long they stay that way. 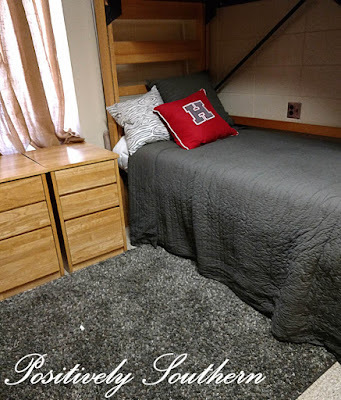 I also wonder if guys try to coordinate their decor style with the other roommate. When we go for orientation John might meet someone he wants to room with so, I wonder do I just wait to make bedding purchases until then. Then reality of where we live(college town)hits me The college parents and students come into Auburn and clean the stores out!!! With that I guess I'll head out and start dorm room shopping!